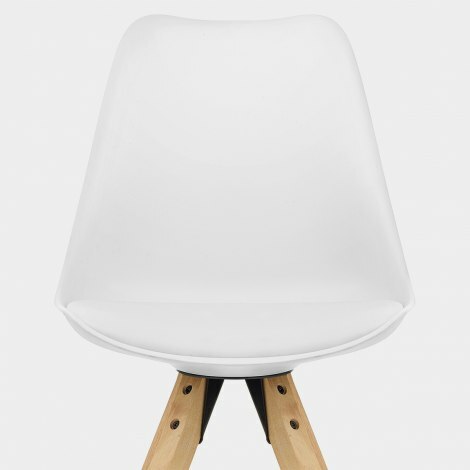 Minimalist and modern, the Aero Dining Chair White is a Scandi delight sure to be a stylish success in many spaces. The Aero combines a fashionable design with a mix of modern and classic materials, making it a smart addition to your dining area. 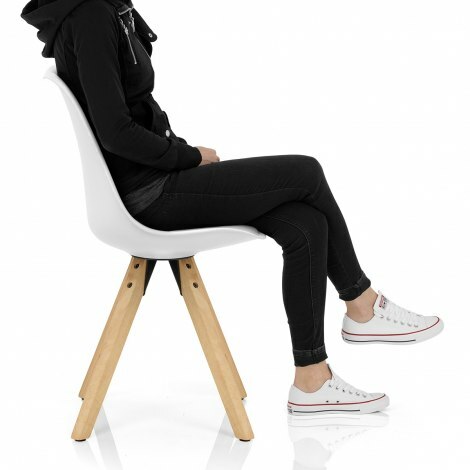 Lending a clean and crisp appeal, the curved seat is formed of matte resin, whilst an integrated faux leather seat pad adds to the comfortable design. Underneath the ergonomic seat are four tapered pyramid style legs, each crafted from solid wood and displaying a natural oak finish. Forming a solid frame, they also include protective pads on the underside to help take care of your floors. "Very impressed with the quality"
Been looking for this type of dining chair for ages and finally bought a pair of this chair. Very impressed with the quality and the seat height is just perfect.